So near and yet so far is the phrase that is often used to describe India-China economic and political relationships. With the growing global influence of the two nations, it is imperative that efforts should be made to bridge the gap between mutual expectations. In the last three months, several attempts have been made by both nations to enhance communication around matters pertaining to trade, investments; and sensitizing each other on matters of concern. The highlight of the positive trajectory of the bilateral relations has been the visit of Prime Minister Modi to Wuhan for the first ever bilateral informal dialogue in April 2018. In the last 4 years, Modi government has been spending unprecedented amount of government’s budget on building roads and highways, ports, railway lines (including India’s first bullet train project), metro, digital infrastructure, smart cities, etc. India will spend close to US$92 billion on its infrastructure programs in 2018-19, with massive opportunities for PPP collaborations to bridge the total investment requirement of US$770 billion. India is one of the world’s fastest-growing large economy, and as per World Bank’s estimates the GDP growth rates are likely to be 7.3% in FY19 and 7.5% in FY20. With the per-capital income expected to rise by 125%, India is on track to have a consumer market of US$4 trillion and the third-largest consumer economy by 2025. All these developments have catapulted India as the world’s most attractive market for foreign direct investments (FDI). Due to its investment friendly policies and opening of several sectors for FDI, India for the first time received FDI of more than US$50 billion in FY 2015-16, standing at US$ 55.5 billion and highest ever FDI inflow of US$60.1 billion in 2016-17. Cumulatively between April 2014-December 2017, India attracted US$205 billion in FDI flows. There is no denying the fact that India China relationship went through a rough patch during 2017; however, trade and investment data suggests a growing divergence of economic decisions from political compulsions. As per the data released by the Chinese General Administration of Customs, the bilateral trade rose to an all-time high of US$84.44 billion in 2017, with India’s exports to China also rising by 40% from 2016 levels, to reach US$16.34 billion. This has come in a backdrop where bilateral trade had stagnated around US$70 billion for several years, despite leaders of both nations setting a US$100 billion target for 2015. Post 2014, Chinese companies have shown significant interest to invest in India in a wide range of sectors such as Real Estate, Electronics, Renewable Energy, Textiles and Automotive and financial investments in Start-ups, which is evident in FDI equity inflows data from China. The trends of outward FDI flows from China and the Government of India’s Make in India mission are in perfect synchronisation. Tracking Foreign Direct Investment (FDI) flows accurately is tough as companies often route investments through countries with favourable bilateral tax treaties, which explains a big gap between the official figures published by the Indian and Chinese government agencies. As per Department for Promotion of Industry and Internal Trade, Ministry of Commerce & Industry FDI inflows from China between April 2000 and December 2017 were a miniscule US$1.78 billion; while MOFCOM China reports that ~US$8 billion flew from China to India. Nevertheless, both parties acknowledge that majority of this investment have been realized post 2014, with a reform-oriented government coming in power in India. As per our estimates, Chinese FDI investments in India are in the range of US$11-12 billion with ~700 active companies in the market. Although, this is still relatively small as compared to what India has received from the US, the UK and Japan, but it is a substantial progress. Barring a sense of urgency shown by financial investors like Alibaba and Tencent, and Electronics majors such as Xiaomi and OPPO, Chinese firms have been a late entrant in India. Large automotive companies from Japan, Korea and the US established their manufacturing and customer base in India as early as late 90s and early 2000. Chinese have only recently woken up to realize the vast potential of bus, utility vehicle, and passenger car segment. About seven large Chinese OEMs have been evaluating the market and firming up their entry plans since 2015, with SAIC closing a deal in 2017 and BYD tying up with an Indian company to assemble electric buses in Hyderabad. Another champion is Wanfeng Autowheel that has invested about $ 50 million to establish a factory at Bawal, Haryana in 2013. Wangfeng now controls 70% share in India's two-wheeler alloy wheel market — with clients such as Hero, Honda, Bajaj, TVS — and manufactures 3 million units of aluminium wheels per annum. In India, Chinese Auto OEMs have a herculean task of addressing the competition faced from the Indian (Tata, Mahindra & Mahindra, Ashok Leyland), Japanese (Maruti-Suzuki, Honda, Toyota) and Korean (Hyundai), who over the years have built a strong supply chain of vendors and a loyal distribution network in their respective segments. Government of India’s push for encouraging faster adoption of Electric Vehicles has the potential to be a big foot-in-the-door opportunity for Chinese companies that have developed expertise at manufacturing electric vehicles and allied infrastructure back home. Like the auto story, ~US$10 billion consumer durables market in India is largely dominated by Korean firms LG and Samsung, followed by Indian and Japanese majors such as Videocon and Panasonic, respectively. Other key players include Godrej Appliances, Blue Star, and the Tata-owned Voltas. Qingdao-headquartered, Haier started a manufacturing facility in India in 2007 and is in a quest to localize majority of its production to reduce the time-to-market and enjoy the cost savings due to relatively cheaper labor market in India. Haier has been experiencing buoyancy in sales number rising from mere US$42 million in 2007 to US$250 million in FY16. The company is expecting to close FY17 with ~US$380 million and has set a target of US$1 billion by 2020. In the Construction Equipment segment, SANY group led the show to establish a factory at Chakan, Pune to manufacture excavators, cranes and concrete pumping machines. The company has set a sales target of US$1billion from India by 2020. It has also forayed into wind energy and will be pumping close to US$2 billion as capex for this vertical. Other prominent Chinese players with manufacturing base in India are Liugong, ZoomLion and XCMG. In the Solar sector, Chinese companies command 90% market share in India, with leaders being Trina Solar, JA Solar, Jinko, Yingli, Hareon, among others. In 2018, CETC and Longi bought land at Sricity, Andhra Pradesh to set-up first Chinese solar module manufacturing facilities in India. Tebian Electric Apparatus (TBEA), Baoding Tianwei Baodian (TWBB), and Highly Electrical have been the pioneers in the electrical equipment space, with all three establishing large manufacturing facilities in Gujarat five years back. Hunan-headquartered, CRRC made it big in the Railways segment, winning over 7 orders to supply metro coaches and components in India. The company secured orders to supply 112, 76, 69 metro coaches for Kolkata, Noida and Nagpur metro projects. In 2016, it established a joint venture with Pioneer (India) Electric to assemble electric motors factory at Bawal industrial area in Haryana. CRRC invested US$63.4 million in the project. Off all other industry, the most visible Chinese investments in India are those in mobile phones and e-commerce. Chinese mobile brands such as Xiaomi, Lenovo, Oppo, Vivo, Gionee and OnePlus, for instance, are already household names in India, constituting half of the domestic smartphone market. Leader in the pack is Xiaomi which has displaced Samsung from the throne of numero uno Smartphone player in India. 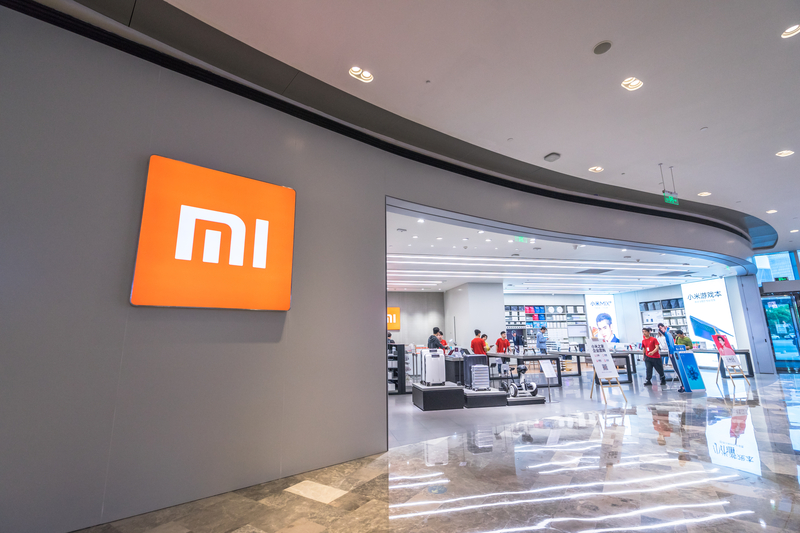 Xiaomi also touched US$1 billion mark in sales in last than three years of its entry in the market, and in the current financial year the company is confident of doubling its sales number to reach a whopping US$2 billion. Xiaomi currently manufacturers 95% of its phones in India at two factories managed by Foxconn at Sricity, Andhra Pradesh. In 2017, it started another factory to manufacture power banks at Noida, a major electronics manufacturing cluster in North India. Not far from Xiaomi’s factory in Noida, Oppo started an assembly unit in 2016, and purchased 110 acres of land to establish a greenfield facility. Besides, mobile phones and components, India is becoming attractive for Chinese CCTV camera manufacturers such as Hikvision and dahua, both of which have secured several contracts under the Smart City Mission of Government of India. LED light is another segment that have gathered momentum owing to government initiatives and increasing public awareness. Indian LED market is projected to grow at 25% during next six years. The Government of India launched an initiative to replace conventional lights by LED lights by deploying 770 million bulbs and 35 million street lights by 2019. China's tech giants Alibaba and Tencent caught Indian media attention post 2015, when they started investing in Indian e-commerce (Flipkart, Snapdeal, Big Basket), payments (Paytm), and other Internet-based business (Hike, Ola, Practo) models. As per estimates, Alibaba and Tencent alone have deployed close to US$3.5-4 billion in Indian companies in the last three years. Even during the Doklam standoff, financial investments from China grew at steady pace, reflective of the confidence of Chinese investors in Indian market and safety of investments in India. Morgan Stanley estimates a 13 times growth in the e-commerce market from US$15 billion in 2016 to US$200 billion in 2026. Similarly, digital payments are expected to increase from 8% of personal expenditures in 2017 to 36% in 2027. This is therefore, a high stakes battle given that the one at China is approaching saturation point and explosive growth seen in the past has moderated. UCweb India (owned by Alibaba) has about 130 million active users in India, and it commands over 55% market share of the Indian mobile browser segment. It is the sixth most downloaded app in India and is the largest overseas market for UCweb. Far ahead is SHAREit (a file-sharing app developed by Lenovo) with 400-million downloads in India in the last four years. India is the largest market for SHAREit, even bigger than its home market China. Globally, the platform has over 1.3 billion users in more than 200 countries. Growing number of smartphone users and affordable Internet in India is likely to attract Chinese financial investors in to a range of sectors such as Fintech, logistics, Artificial Intelligence, Gaming, Ed-tech, among others. Huawei, ZTE and ZTT are well-respected telecommunication equipment suppliers in the Indian telecom industry, which is now serving 1.19 billion telecom subscribers. On the entertainment front, Chinese got introduced to Aamir Khan with 3 Idiots and PK and were hooked with Dangal and Secret Superstar. China is now interested in everything Bollywood — from partnership and distribution rights to Indian directors and writers. Dangal raked in more than US$194 million in just two months of its release in China, or a significant 40 basis points of India's trade deficit with China. Bollywood has the potential of delivering high-quality content for Chinese audience starving for differentiated and culturally relatable content. In 2017, Indo-China joint production, Kung Fu Yoga, was one of the most successful films at the Chinese box office, earning more than US$250 million. So far, Bollywood production houses focused on catering to Indian diaspora settled in foreign countries; whereas, in China it’s the indigenous audience that has accepted the Indian content. China offers a great business potential for Bollywood with its more than 25,000 screens (3 times of India) at (10 times) average ticket price. In 2015, a wave to Chinese developers — Dalian Wanda Group and China Fortune Land Development — exploring large-scale mixed-use townships around big cities in India was observed. This confidence was because of a memorandum of understanding signed by the two governments during the visit of President Xi to India in 2014. However, the projects have not made any substantial progress till date as the conceptualization was based on the conditions prevailing in Chinese ecosystem. Chinese players that have succeeded in India have customized their offerings and strategy to suite the demand of Indian customers and availability of resources with governments. Unlike China, ownership of undeveloped land in India does not reside with the government. To undertake development activities such as road construction, development of townships or any transport infrastructure, government must procure land through formal and lengthy acquisition process, which involves provisions for rehabilitation of those displaced and payment of appropriate compensation. Situation is completely opposite as far as providing land for the industries is concerned. Over the last decades, provincial governments have developed many industrial parks with world-class physical infrastructure, provisions for un-interrupted power supply and other utilities, well-designed internal road network. India has over 600 dedicated sector-specific zones for leather, textiles, food processing, information technology, chemicals, etc. Several provinces are offering plug-n-play model — with a host of financial and tax incentives — for interested investors to reduce the time spent on establishing factories. So far, majority of Chinese manufacturing FDI in India has landed in provinces such as Andhra Pradesh (Sricity, Vishakhapatnam), Telangana (Hyderabad), Maharashtra (Pune, Chakan, Ranjangaon), Gujarat (Vadodara, Sanand), Karnataka (Bengaluru), Uttar Pradesh (Noida, Greater Noida), and Haryana (Bawal, Manesar). Despite all advantages of Indian market, language and lack of people-to-people contact has emerged as the single-largest obstacle for exchange of information between the two countries. People in China have limited access to the information about the Indian economy and business environment. This has restricted the relatively mid-scale businesses from China to invest in India. There is a big need to make the Chinese investor community learn the facts about investing in India, and Government of India has established a dedicated body — Invest India to facilitate Chinese investments in India. Invest India is the national investment promotion and facilitation department established by the Ministry of Commerce & Industry, Government of India. A five-membered dedicated team has facilitated over 110 Chinese firms in the last three years and has investment commitments worth US$25 billion. The team can help Chinese investors understand the government policies, benefit schemes and regulations, identity business opportunities and local partners, and help secure land for setting up manufacturing facilities. Chinese investors can avail the services of Invest India without any cost. Unlike several other FDI source countries, China doesn’t have any formal organization set-up to help Chinese businesses in foreign country. A good case in point is JETRO (Japanese Trade and Investment Body) that has been facilitating Japanese investments in India through its 5 offices at New Delhi, Mumbai, Bengaluru, Chennai and Ahmedabad. China must consider establishing a strong network of representative offices in foreign countries to facilitate Chinese investments abroad and iron-out issues with the government bodies.